Time to tackle the dreaded sweeping & mopping. I should really make my life easier by picking up one of these reusable (and oh so eco-friendly) swiffer covers by marinebiochic07. Maybe the bright colours will cheer me up while I complete the chore? Do you use environmentally friendly cleaning tools? Like what? Mmm...I'm using Mr. Clean :( It's not environmentally friendly, right? Thank you so much for featuring my Swiffer cloths! I've made a cotton prototype and tried it for wet mopping my floors and it worked great! ur such the eco friendly person niki! gotta take some pointers there :o) love the colors in this cloth! I have bought one of these and I love it! Marine (Jena) is such a sweetheart, her shop rocks!!! These are such a great idea! Very ecological and pretty, too! 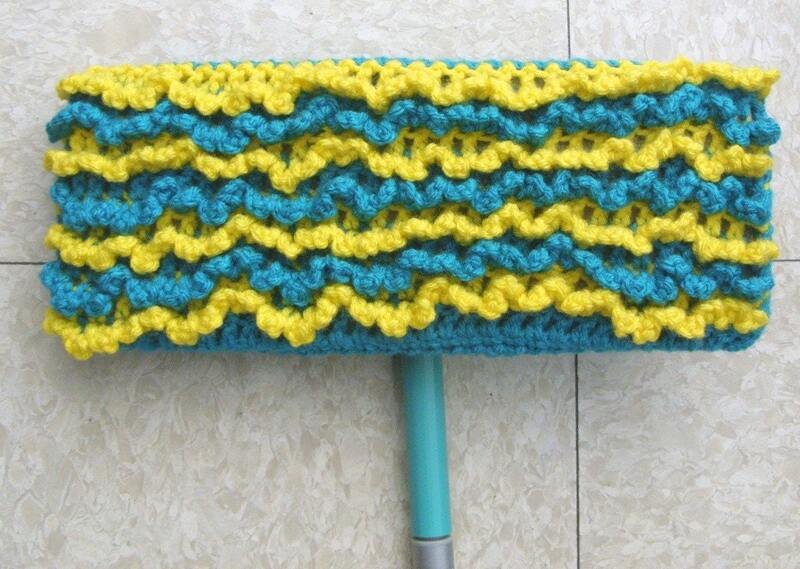 I love my Swiffer cover from marine! And it matches my kitchen!